A classic of our time. 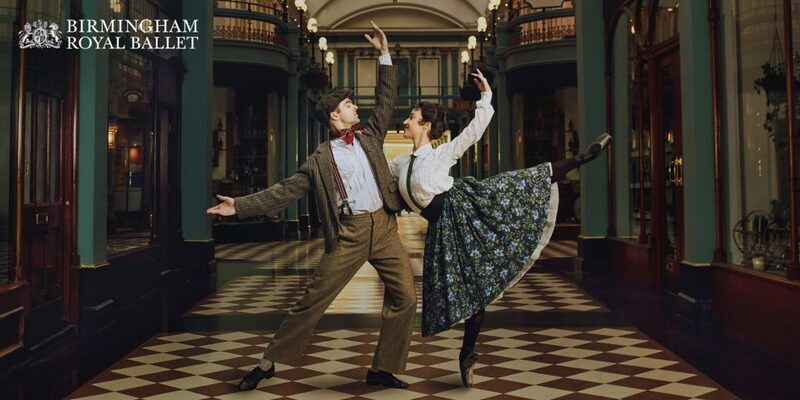 When Hobson’s Choice was premiered at the Royal Opera House in 1989, David Bintley’s earthy comedy after Harold Brighouse’s play received a standing ovation the likes of which hadn’t been seen since the premiere of Frederick Ashton’s La Fille mal gardéein 1960. With one of those scores you can’t help but whistle, composed by Paul Reade composer of themes for The Antiques Roadshow and The Flumps,the ballet has remained hugely popular ever since. Don’t miss your chance to join feisty Maggie as she puts the world to rights, outsmarts her inebriated father, bags herself the perfect man and starts up her own business to boot, in what is without doubt a classic of our time. All performances feature live music from the Royal Ballet Sinfonia conducted by Paul Murphy and Philip Ellis. If you are blind or partially sighted, listen to a live description of all the action with a discreet headset at this performance. Book by phone to get the best seats for your needs. Available to full-time students with valid ID (NUS/College or University card with photo and expiry date) and Passport to Leisure card holders with a valid Passport to Leisure card (with expiry date). Offer subject to availability. Add some VIP sparkle to your Hippodrome experience with a Diamond or Champagne package in our luxurious Qdos Lounge. For dates of audio-described, captioned or British Sign Language (BSL) interpreted performances, please see below. These vary from show to show. It is always best to book through our Access phone line 0121 689 1060 when booking assisted performances. Touch Tour: Sat 22 Jun 2019 at 10:30am. Touch Tours give visually impaired patrons the opportunity to familiarise themselves with the set, props and costumes. Tours must be booked in advance through Ticket Sales. Ever wondered just how ballet dancers do what they do? This is your chance to look behind the scenes and watch Birmingham Royal Ballet’s talented dancers in their final preparations for a performance of world class dancing. Tickets £10* (free to BRB Friends). *Where applicable, a 6% transaction fee applies (excluding cash sales in person). A unique chance to have fun, get involved and peek behind the scenes, Audience Open Days are free to all matinee ticket holders.